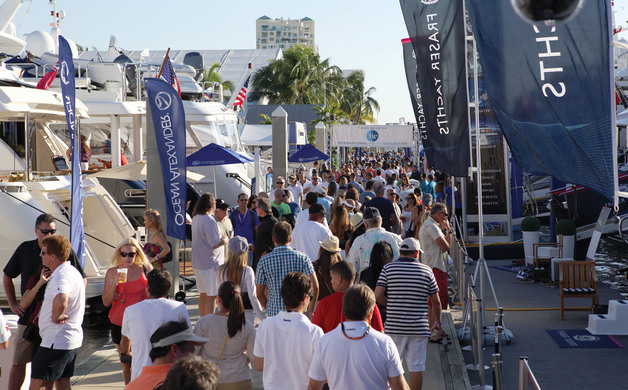 You visit the Fort Lauderdale International Boat Show for the same reason you go to the world’s great circuses―to see the exotic, the lions, tigers and bears. Two-hundred-foot yachts sit chockablock along the Intracoastal, casting shadows on mere 150-footers, while nattily attired crew cast a discerning eye, discreetly lowering the passerelles for potential buyers to board. I’m in for a workout, I’m thinking, adjusting my Fitbit to count my steps at the November show, preparing to board the Northern Star, a 248-foot Lürrsen motoryacht available for a cool $114 million. 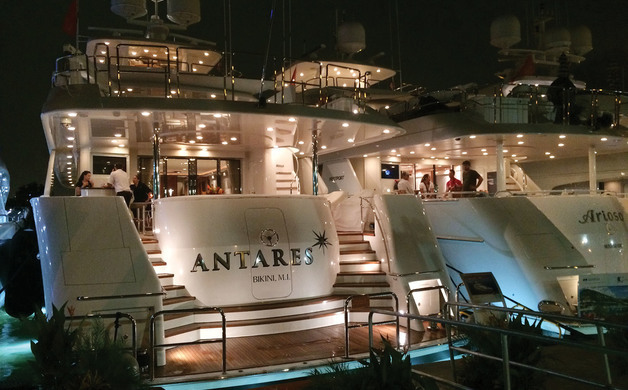 Moored at the Bahia Mar Resort and Yachting Center, the headquarters for the show, the Northern Star has a 44-foot-wide transom and is the largest yacht. 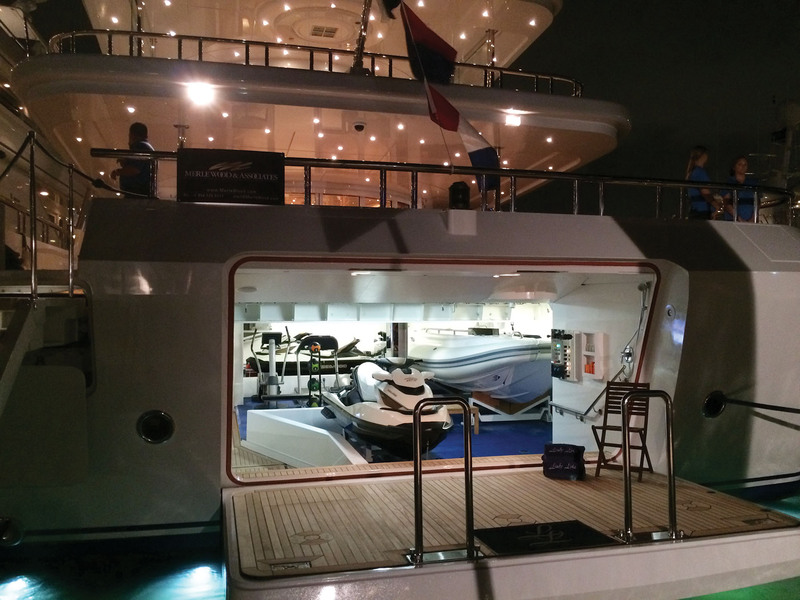 My goal is to board as many of what I deem the most amazing yachts as I could in two days; yet with 137 yachts on display longer than 100 feet, even setting foot on 25 of them means seeing only 18 percent of the fleet. My competition includes a portion of the total 100,000 visitors to the show who are also looky-loos; not even tire-kickers. We admit straight up we were not real players. The high-net-worth buyers may look like us, yet they hide in plain sight―and usually have better shoes. They are the Saudi prince, the Silicon Valley tech start-up giant, the candle-maker Michael Kittredge who founded the mega-company Yankee Candle, then built a 197-foot megayacht named Paraffin at the Dutch shipyard Feadship. 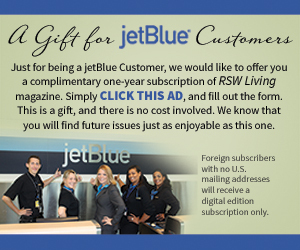 These are the people that can buy a $25 million (or $50 million or more) boat. The power of the Fort Lauderdale Boat Show impacts the entire world, and Southwest Florida acutely benefits from the show’s success. While large yachts may grab headlines, there are only 3,500 over 100 feet long in the world. It’s said that 30 percent of boat builders’ annual sales occur at the Fort Lauderdale Boat Show, and that includes some of the most expensive high-performance and center-console boats in the world, the boats we often see on Southwest Florida waters. You know the ones, the Cigarettes, the Nor-Techs, the Fountains, the generic “go-fast” boats that run nonstop on nice weekends from Sanibel to Boca Grande. We’ve all heard them, seen them, perhaps rode in them or been annoyed by them, and they are here to stay. That’s why my visits—and perhaps your visits if you went to the show―to boats both large and small are so important. 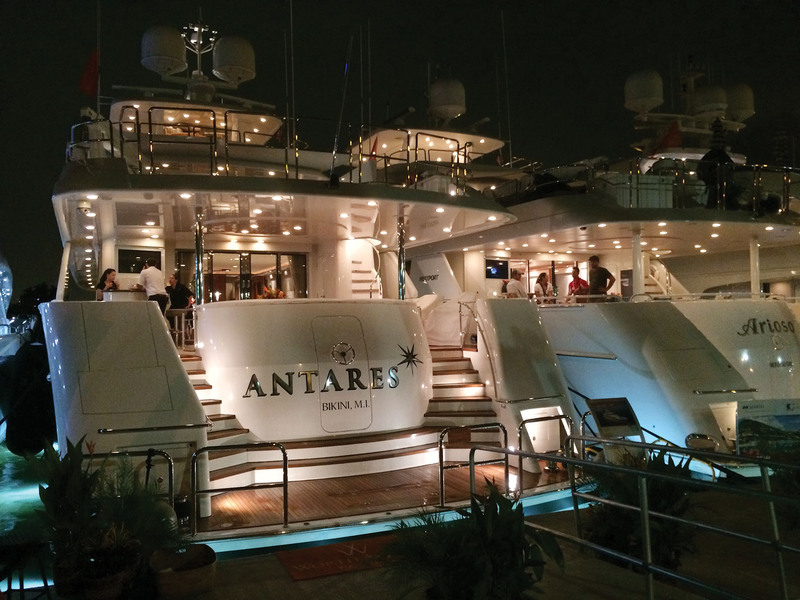 For the most part, those 3,500 yachts over 100 feet only have one owner. Put all those men and women together and they won’t even fill half of the Germain Arena for a hockey game. But the teeming multitude of people connected to these yachts—and to all the boats running off Fort Myers Beach―is astounding. It includes the builders, crews, fuel-dock workers, salespeople, brokers, service people, and dutiful scribes like me who ooh and ahh over every graceful curve and sharp anchor. The list is long when denoting who earns a living off the existence of boats large and small, and there’s a lot of pride and money at stake. And that’s where my “Secret Weapon” comes in. Every boat owner—whether it’s a 20-foot runabout or a 200-foot megayacht―LOVES to talk about his or her boat. Boats, yachts, dinghies, whether you own one or build one, they are fun. They are cool. My “Secret Weapon” to get onboard is just a simple question: “Tell me about your boat.” Even at Fort Lauderdale, it never fails. 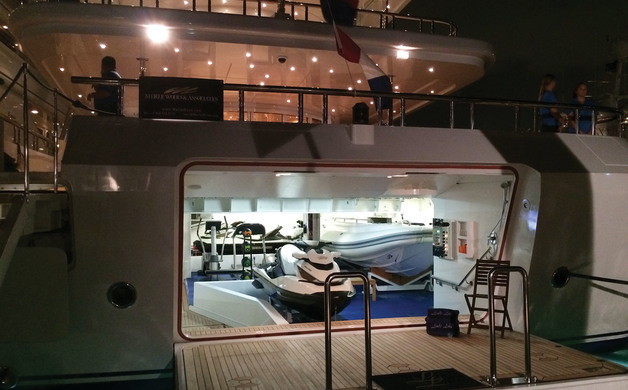 Written by Doug Thompson, the executive editor of ShowBoats International, a leading luxury yacht magazine, and currently reports on the yachting and marine industry.